This original post is from 2011, but all information is still valid. I have been rebuilding Sea-Doo superchargers for over a decade and have the most experience to ensure your supercharger is rebuilt correctly. I only use the genuine Sea-Doo supercharger rebuild kits and will not settle for less. My turn around time is only one day. 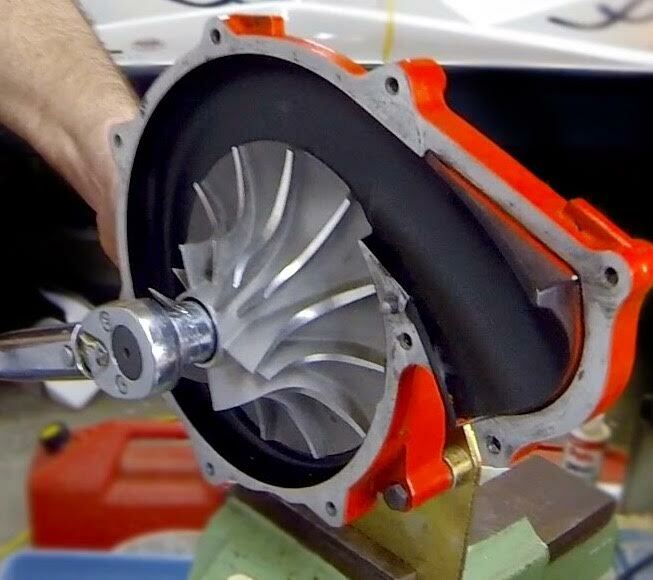 The supercharger rebuild service can be ordered >HERE< in the forums store. The service includes the price of a new genuine Sea-Doo supercharger rebuild kit and the labor to perform the rebuild on your supercharger. how much just to change to new Viton oil seal? I heard nothing but great things about you. Planning on pulling my supercharger this week and sending it out to you. Whats your turnaround time? Thanks.. I charge $30 for just doing that and checking slip on the clutch and shimming if necessary. Sounds great Jeff. My turn around time is usually 1 day. Is it suitable to send SC for rebuild to you from Australia? Not sure how much shipping would be? Max. length 36", max. length plus girth 79"
Thanks for the info. Out of interest what would a new sc cost? Also if I go with the rebuild could you recommend a mild cost effective upgrade for the impeller? I still want to run stock components so not looking for big boost gain.